Before you get all up in arms about the fact these two aren’t strictly spec-for-spec rivals that shouldn’t be compared, let us explain. 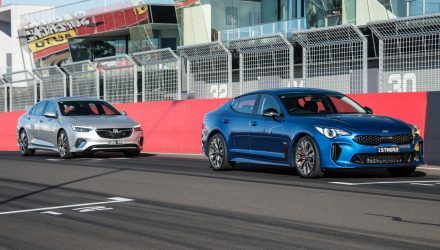 Basically, if you’re in the market for a high-end sports car, perhaps you’re going through a mid-life or three-quarter-life crisis, and you have around AU$200,000 to spend, there’s no reason why you shouldn’t be cross-shopping these. 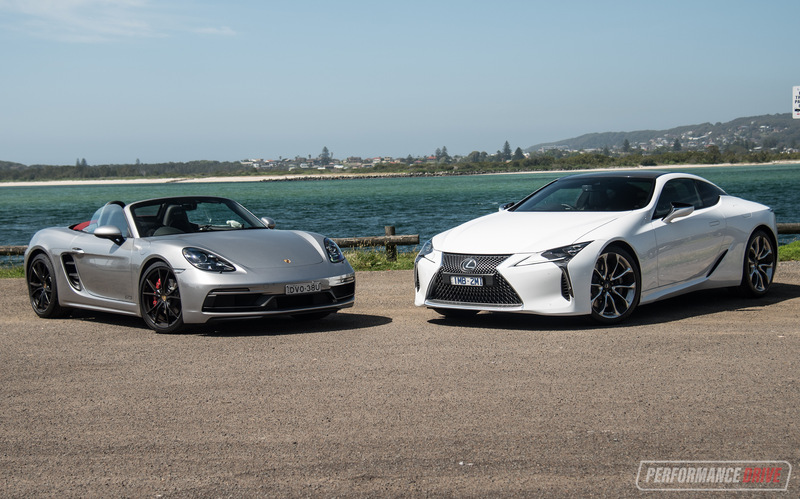 We’ve already reviewed both of these cars separately – you can read all about the Boxster here and the LC 500 here – and we’re convinced they are among the best cars on the market for their respective purposes. 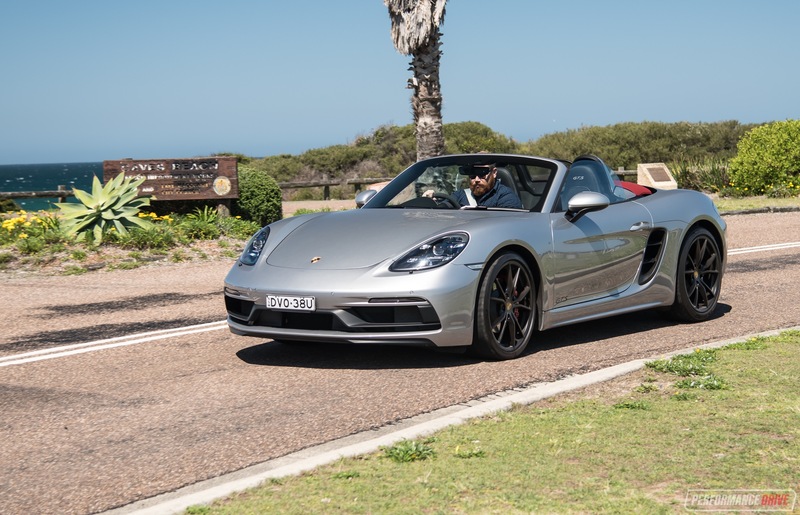 The 718 Boxster GTS is all about fast, wind-in-your-hair driving along a mountain road or spirited coastal road. 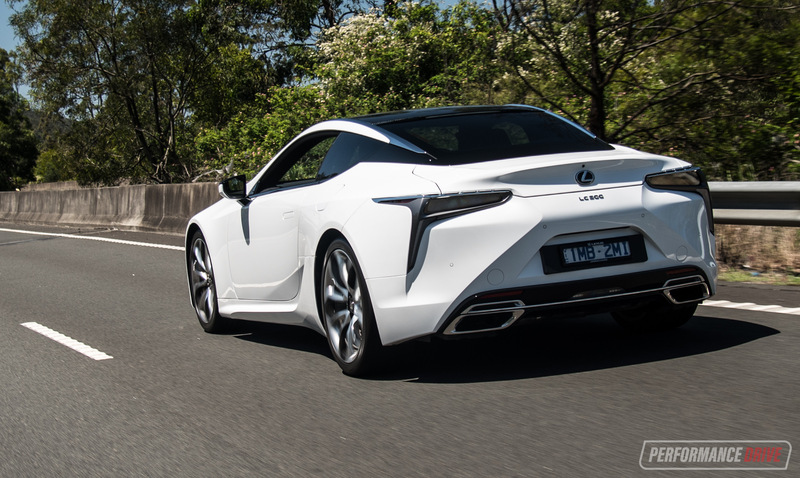 Whereas the LC 500 is more relaxed and stylish yet offers similar thrills in such conditions. 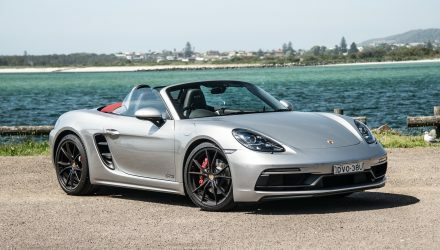 In terms of prices the 718 Boxster GTS has a base price of $175,500 in manual form, or from $181,480 in dual-clutch auto form as featured here. 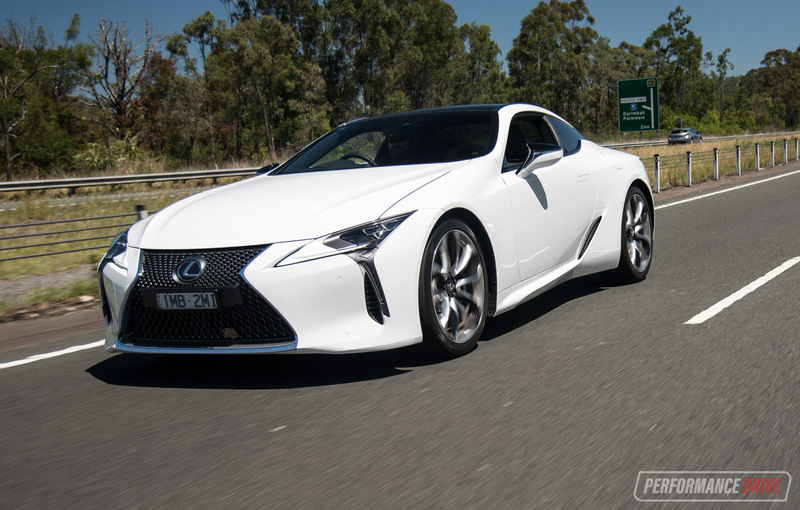 From Japan, the LC 500 has a base price of $189,629, and there is only a 10-speed auto. There aren’t many options available on the Lexus, aside from a few ‘enhancement packs’ which are priced at $15,000. This test car has one of them (noted by the carbon fibre roof), taking the starting price to $204,629 (excluding on-roads). The Porsche, however, is available with heaps of options. This test car is moderately specced, featuring a special sound system and sports seats. These, among other things, take the price to $209,300 (excluding on-roads). So, even in this very quick synopses you can see they battle quite closely. Let’s try and figure out which one is best for you, and which one performs the best for its intended purpose. According to the Federal Chamber of Automotive Industries, these two do actually compete in the same class. 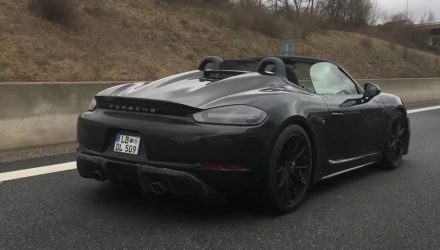 In the ‘sports cars, above $80,000’ segment, with the likes of the Jaguar F-Type, Nissan GT-R, and even the BMW 4 Series. They just miss out on the ‘sports cars, above $200,000’ class due to their starting prices. 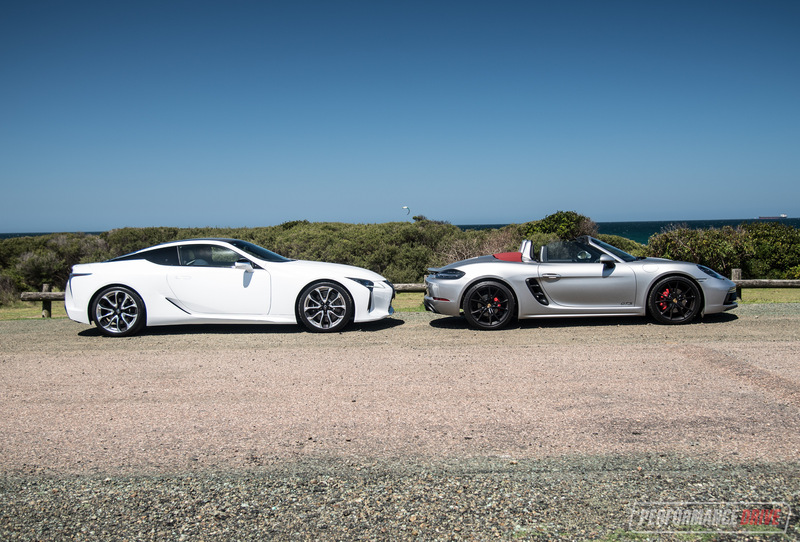 They aren’t that similar in size, with the Lexus some 391mm longer than the Porsche, and riding on a wheelbase that’s 395mm longer. 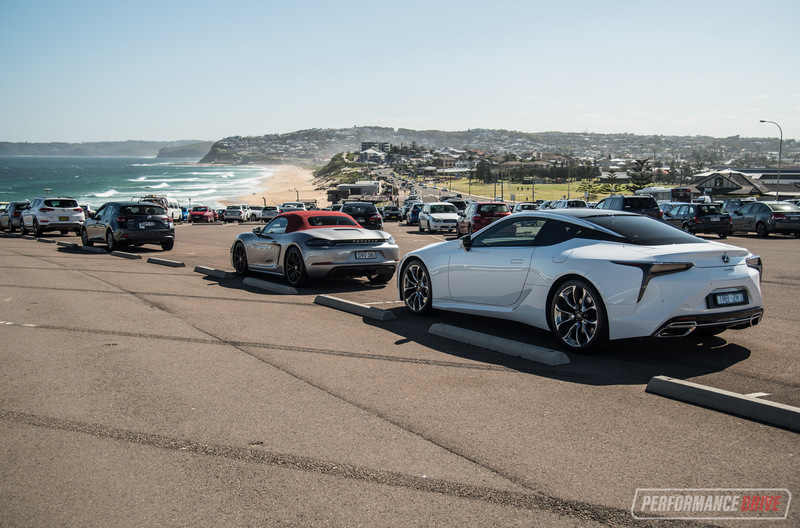 Both stand broad on the road, at just under two metres, and the Porsche is 73mm lower in terms of roof height. Simply looking at them both though the Lexus does seem to overshadow the 718 for size. 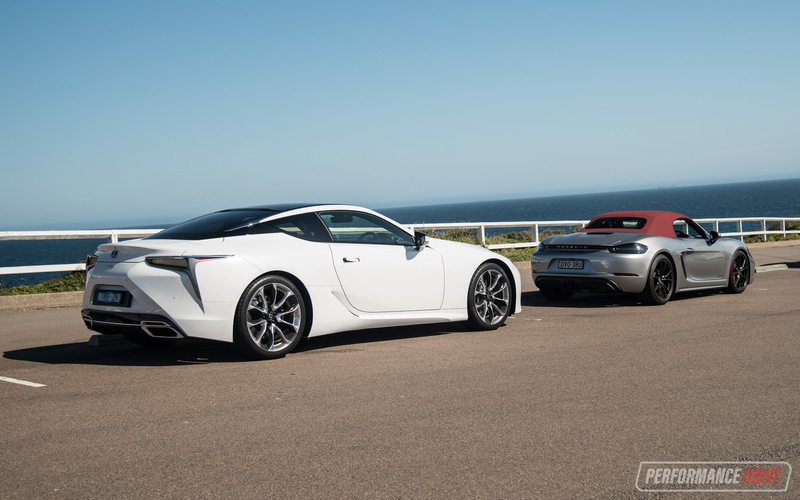 As you would expect, the LC 500 is a bit larger inside. 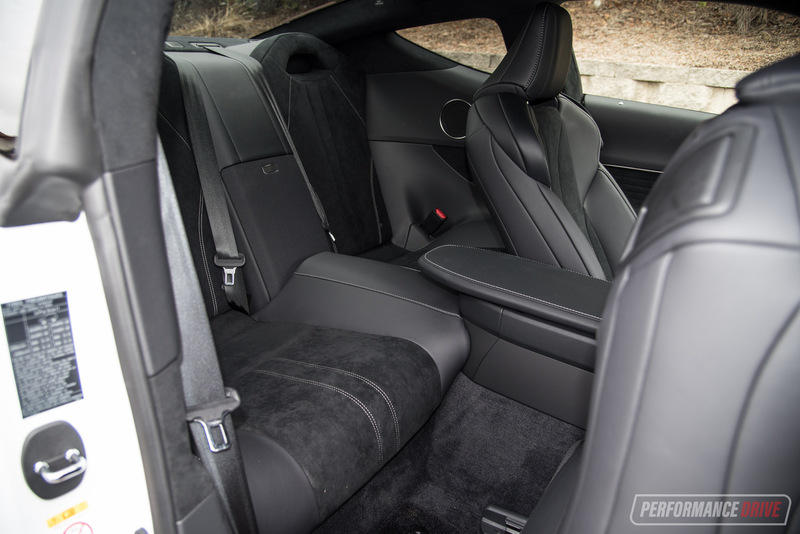 It goes for more of a grand touring coupe theme, with big front seats and long and deep footwells. There’s no shortage of storage space around the front seat area, with a decent-size centre console box and slidable armrest/lid, two cup holders, and pockets in the doors. 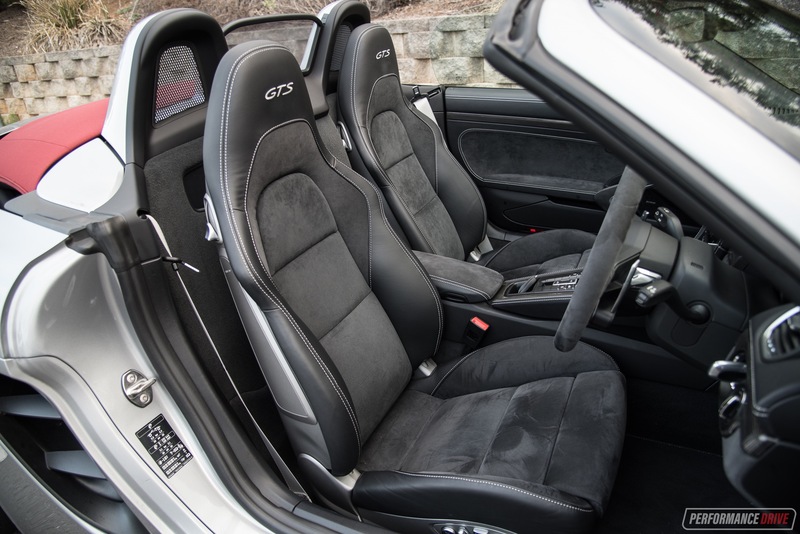 Unlike the Porsche, there are two seats in the back as well. They provide reasonable comfort and space for shorter journeys or for kids. 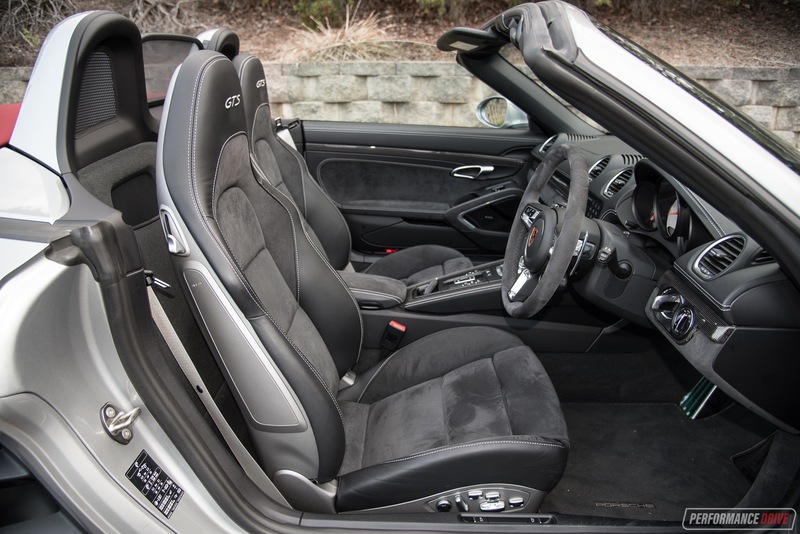 Inside the Boxster isn’t exactly a huge contrast in comparison. 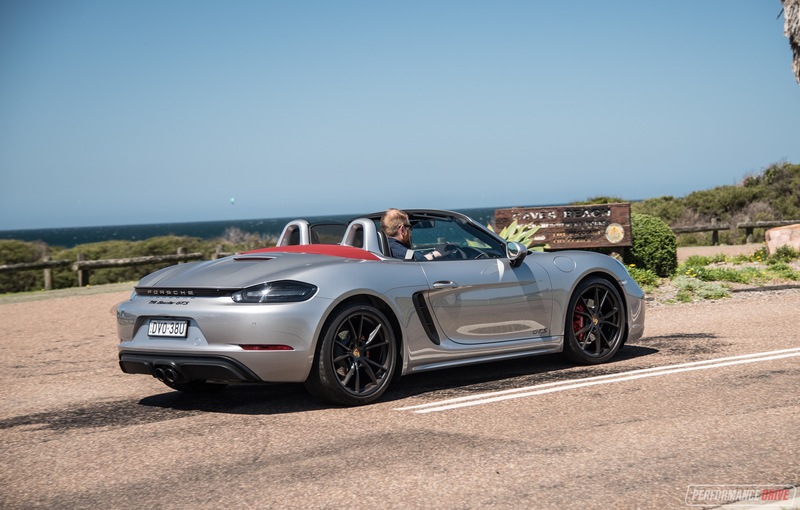 Headroom and legroom is surprisingly accomodating for a dedicated sports roadster like this, and Porsche’s clean and clutter-free dash layout helps to provide an open environment. Where the line starts to widen is with a lack of nicknacks and storage space. There’s hardly anywhere to place your phone or other belongings. 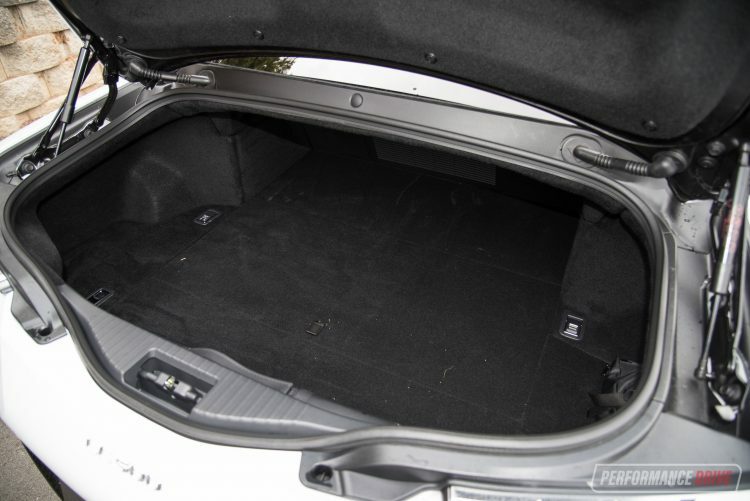 Comparing the boot spaces is an interesting one. 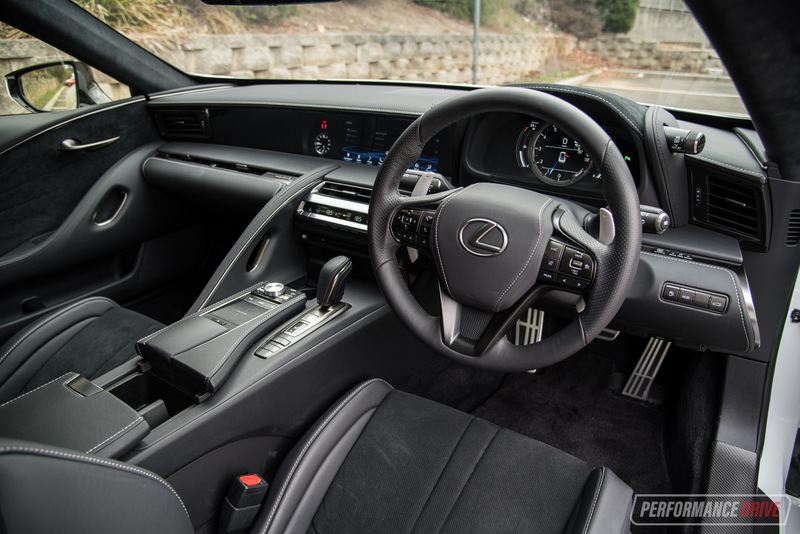 In the Lexus you have a shallow yet far-stretching area that presents 197L. In the Boxster you have a rear boot with a similar configuration to the Lexus, but there’s also a deeper front boot. Combined, they offer 275L. This could come in handy for those weekends away, as you have an area for you and another area for your other half. 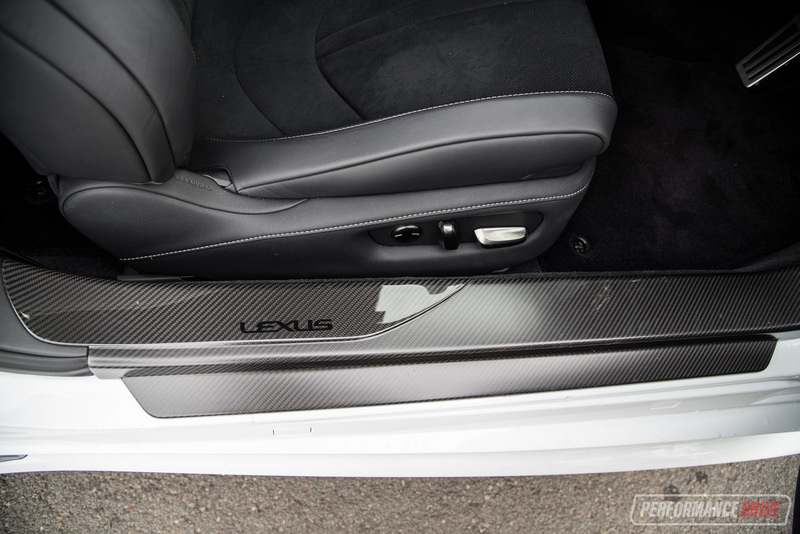 In terms of features and packaging, the Lexus is the winner. It comes with the most kit as standard. This test example does feature one of the two ‘enhancement packs’ available, which includes a carbon fibre roof, electric rear spoiler, and four-wheel steering. A glass roof is also available at no cost with this pack. 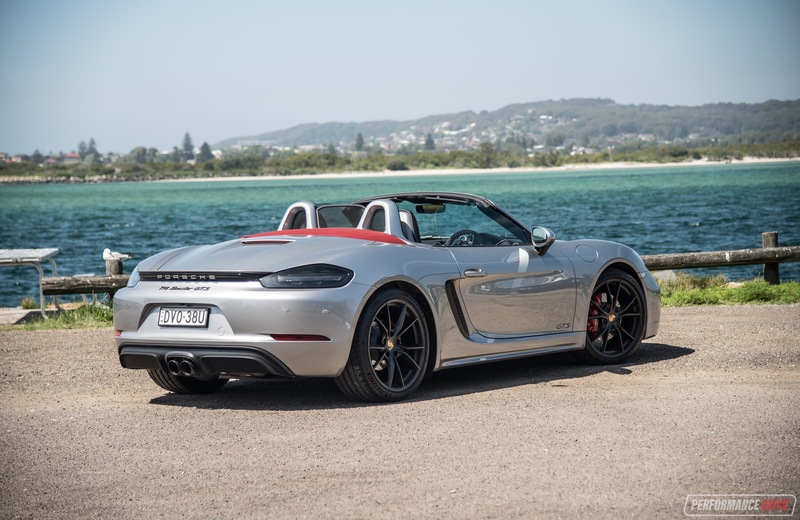 Some of the highlight luxuries over the Porsche include electric steering column adjustment, head-up display, ventilated/cooled front seats (only heated in the 718), and a powerful 13-speaker premium sound system by Mark Levinson. 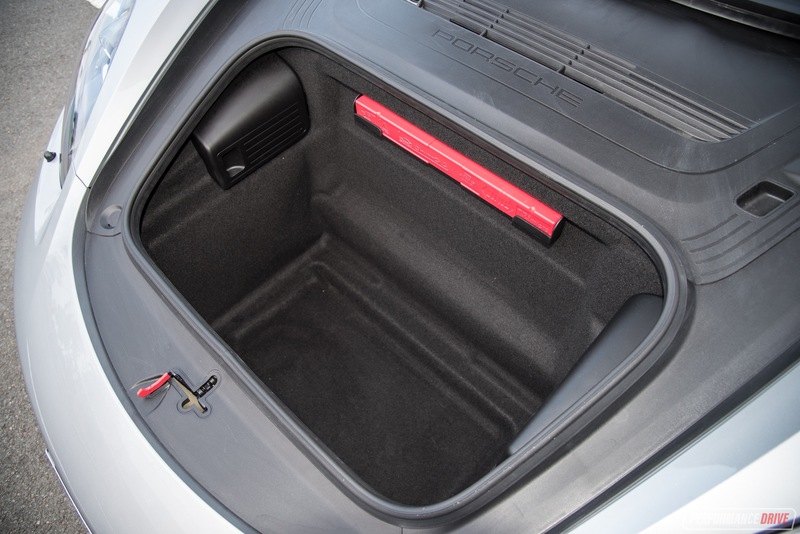 The Porsche comes with a six-speaker unit as standard, although this test car is fitted with a 10-speaker Bose system ($2650). Alternatively, there’s also a 12-speaker Burmester setup available ($8790). 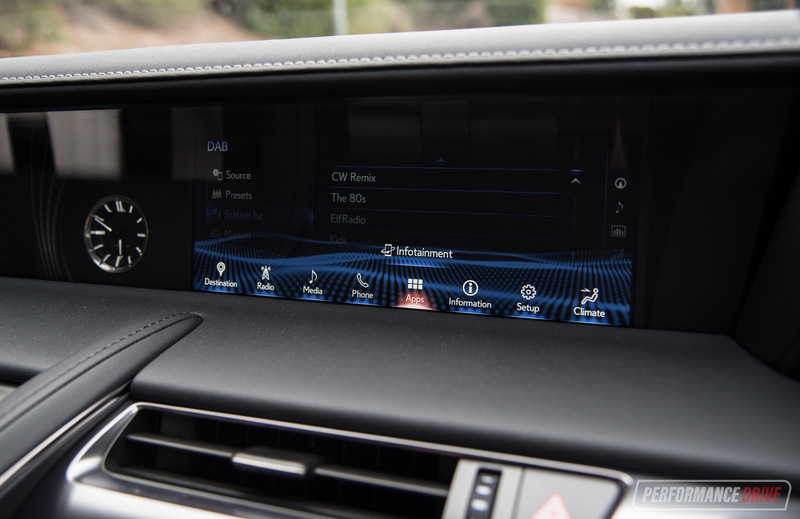 It’s not only the luxuries though, the Lexus edges ahead with more comprehensive active safety tech, such as adaptive cruise control, an active bonnet, LED headlights, a rear-view camera, and blind-spot monitoring as standard. The Porsche misses out on all of this, however, most of it is available at extra cost. 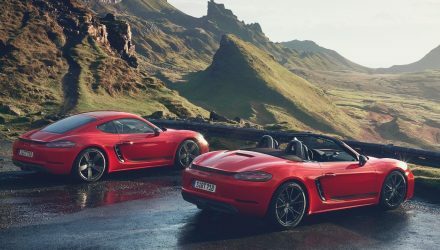 In discovering the above, we can’t discount the benefit of the fold down roof in the Boxster, which provides an entirely unique experience. It almost provides two cars in one; coupe and convertible. To start off with we’ll talk about the cruise-ability of these cars. Let’s face it, we’re all probably going to see more of these in the city and prowling esplanades than out in the mountains or on the track. But in any case, if you’re spending this much on a vehicle, it’d be nice to be able to go for a cruise and show off a bit. After all, isn’t that part of their purpose? On its own, the Porsche is surprisingly easy to drive in the city and in traffic conditions. It’s not too noisy inside, although the sound from the boxer four-cylinder isn’t as exotic as you might have expected. The visibility is great as well, especially with the roof down. This is a proper sports car so you might have to be gentle entering driveways, depending on what you’re used to driving. Jumping straight out of the Lexus though, the Porsche is definitely more of a ‘pig’, which can be cool and attractive to some tastes. 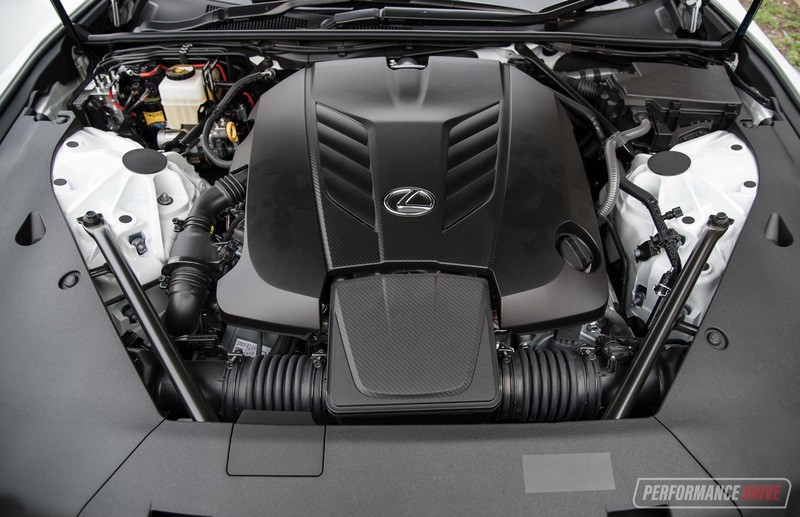 The dual-clutch auto transmission can seem clunky against the silky 10-speed auto in the Lexus, and the engine is very rough and agitated. 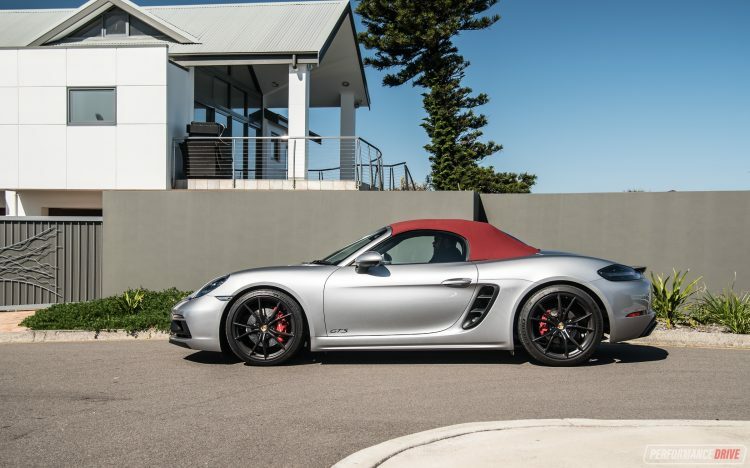 It does attract the gaze of a few onlookers, this GTS, making you feel pretty important. But it does feel like there are plenty of people who purposely choose not to look out of pride. In the Lexus, this is a different story. Almost everybody looks at it. And most people smile or provide some kind of positive feedback. That’s to be expected we guess as this is quite an outrageous-looking car, and one that’s still rather fresh and new to the public’s eye. The Lexus is the king of cruising. It purrs around like a snoring lion, offering a level of aural entertainment that the Porsche just can’t provide. 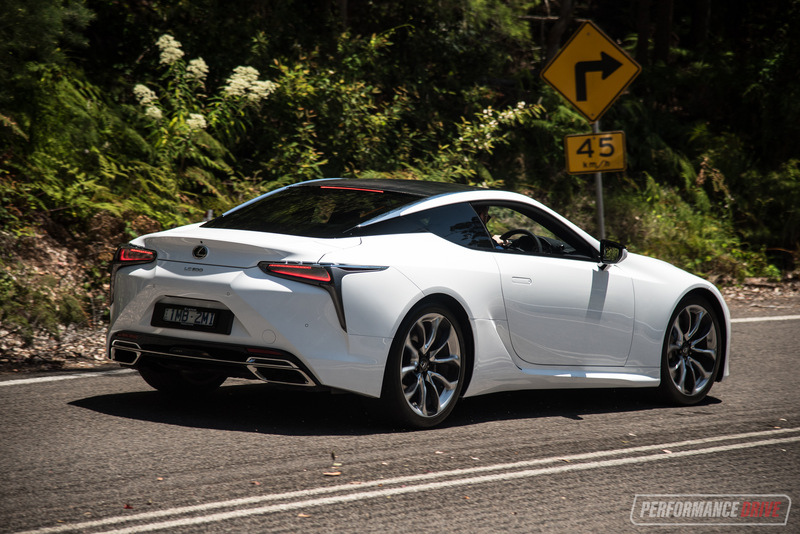 Turning into streets and meandering the through the city, the LC 500 is all about pleasure and decadence. The steering is very smooth and consistent, and the ride is both supple and forgiving yet taut and rubbery when it needs to be. 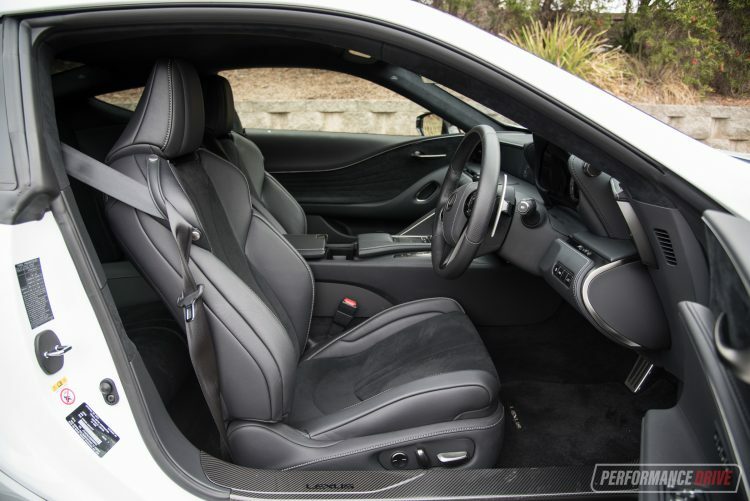 While the Lexus’s ride is fluid, absorbent and quiet, the Boxster GTS is firmer yet more direct and responsive. 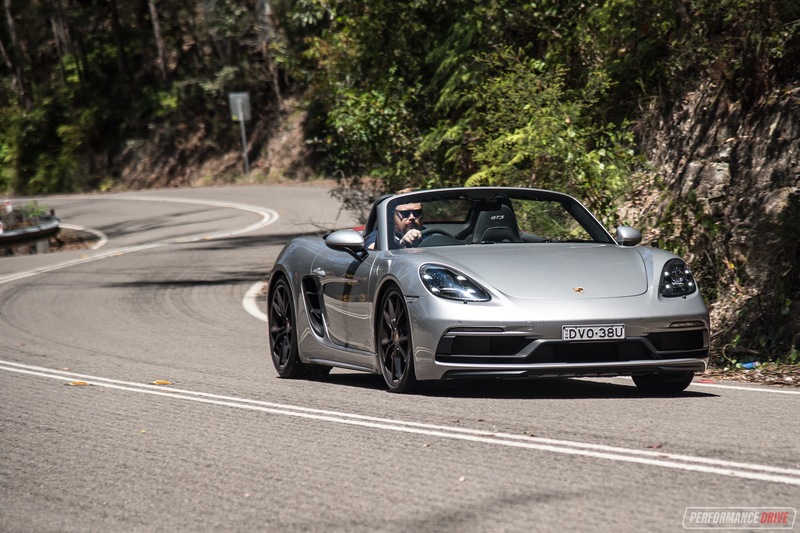 Essentially, the Boxster is busier and less comfortable in normal conditions, but it provides better road-holding and a lot more communication during cornering. Even over corners littered with road imperfections, the Porsche’s communication level is on another level. Both cars come with adaptive dampers so you can toggle between different driving modes for different driving conditions. 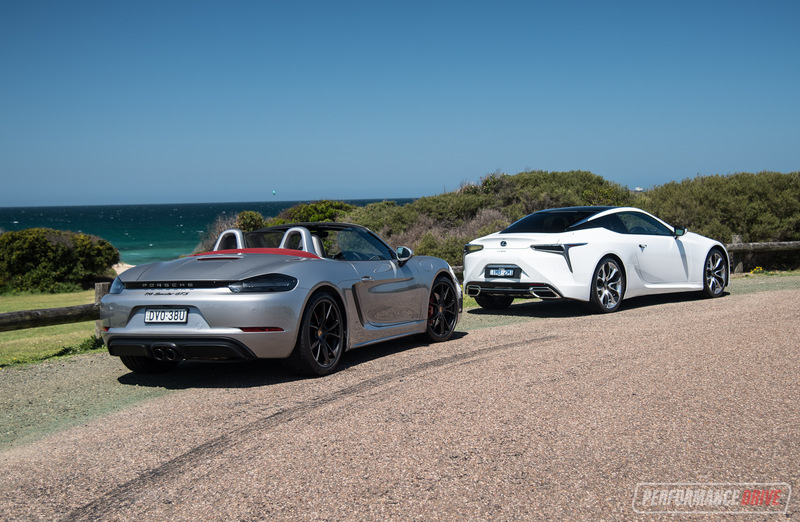 We’d say the breadth of adjustment is similar in both cars but the Porsche’s spectrum is obviously at the firmer end and the Lexus is positioned in a softer portion. 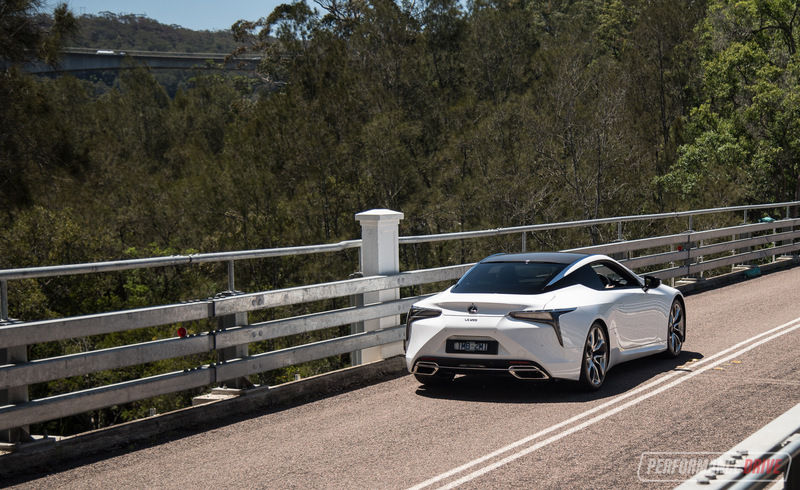 We enjoy driving the LC 500 on twisty country roads. The four-wheel steering really helps with stability on long, sweeping bends, and also helps to improve agility in the tighter stuff. 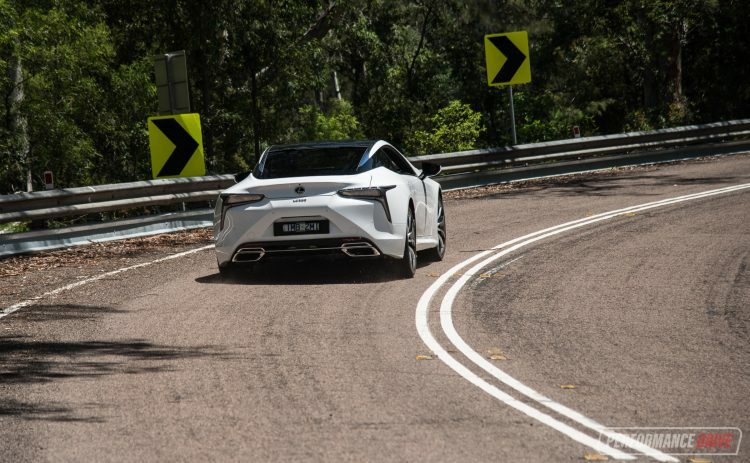 It’s the quick switchbacks and hairpins where the Lexus looses ground. Its 1915kg weight, some 549kg heftier than the Porsche, means it doesn’t respond as immediately during swift directional changes. This is where the Porsche really pushes ahead with sheer driving precision and dynamism. You can come hot into a corner in the Porsche and the platform will remain very stable and on track with your every move. It can be difficult to adjust the handling with self-inflicted understeer or oversteer, as it’ll just keep hanging on for far longer than you anticipate. It just has so much grip. Using the power alone to influence oversteer is not something that can be done easily in the Boxster. It’s not that it doesn’t have enough power, it’s more than it prefers to grip up and slingshot from corner to corner with minimal fuss. 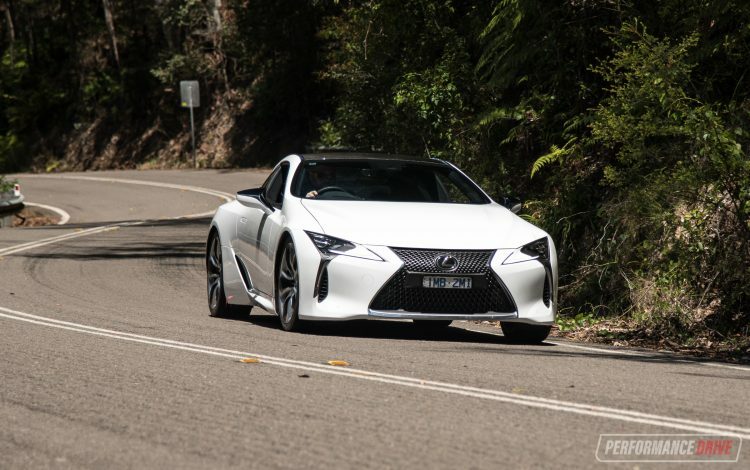 The Lexus isn’t exactly a big, spongey boat when it comes to understeer and oversteer either. In fact, you need to use quite a lot of momentum to push the car into oversteer, as well as apply some of that juicy V8 power. It does feel very planted though and feels as though it prefers to grip-drive rather than slide about. 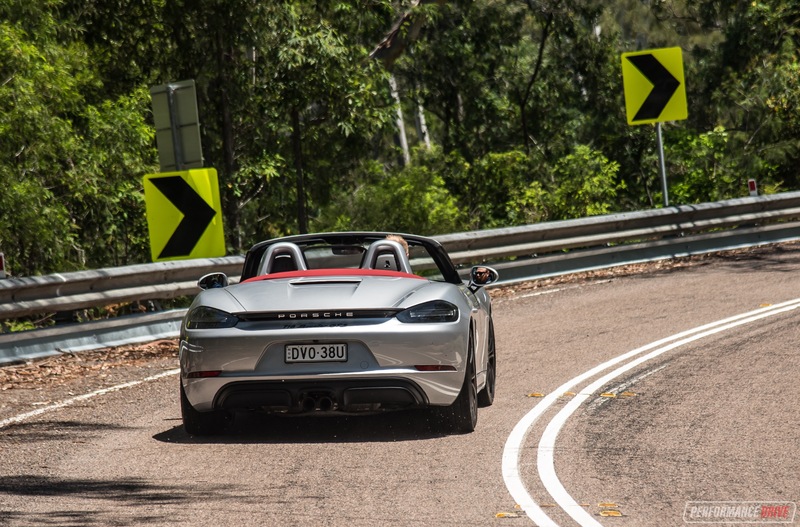 We like the Porsche for its outright driving experience. And we mean experience as in years of pedigree. You can immediately tell it knows exactly how to do things. And do them extremely well at very high speed. It’s also a bullet in a straight line, with launch control spitting out an incredible 0-100km/h time of just 4.02 seconds during our testing. The Lexus is undoubtably lazier, more lethargic and thus more relaxing. Its best habitat is the city, the coast, or a nice mountain road. Due to its weight, the acceleration off the mark isn’t anywhere near as impressive as the Porsche. 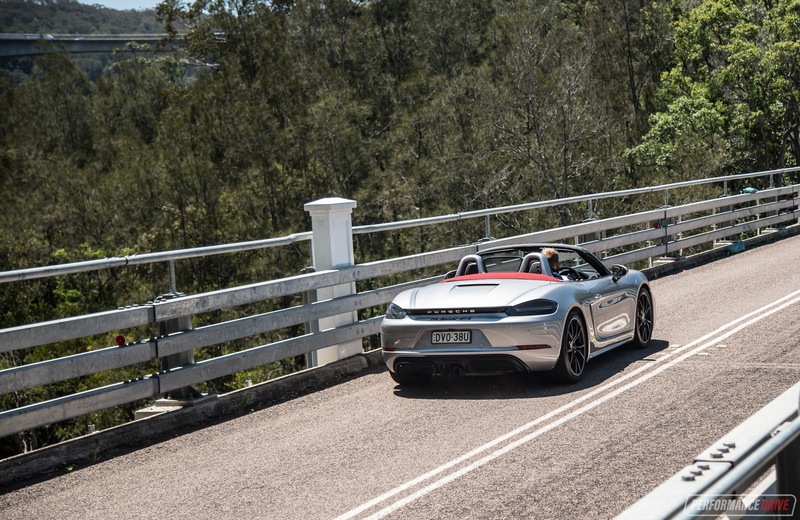 We clocked 0-100km/h in 5.25 seconds, which is quick on its own but well behind the 718. It is hard to pick a winner in terms of the drive experience, as they both offer different skills. Since they are so tight, we’re going to give it to the Lexus because it can be enjoyed more where most people will drive it for most of the time. If that makes sense. In other words, the Porsche might get taken to a track where it really gets to show off its expertise but only occasionally. 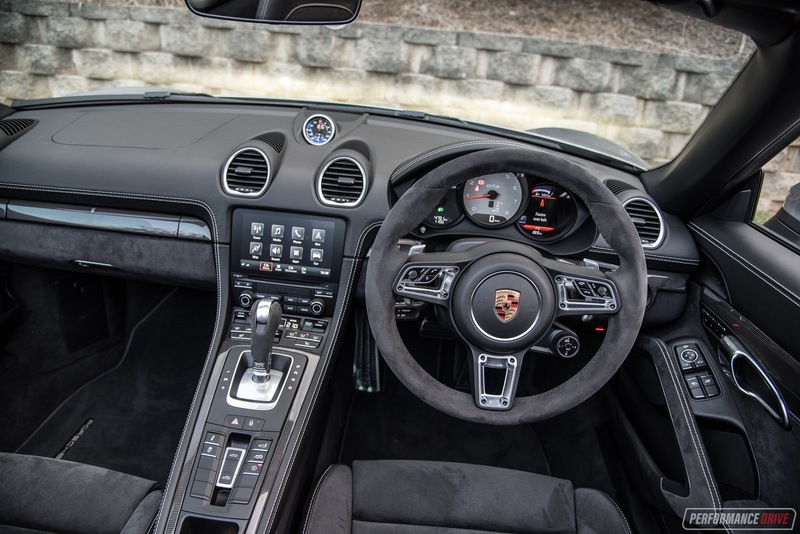 We also adore the jackhammering V8 soundtrack a lot more than the busy four-cylinder throb of the Porsche. 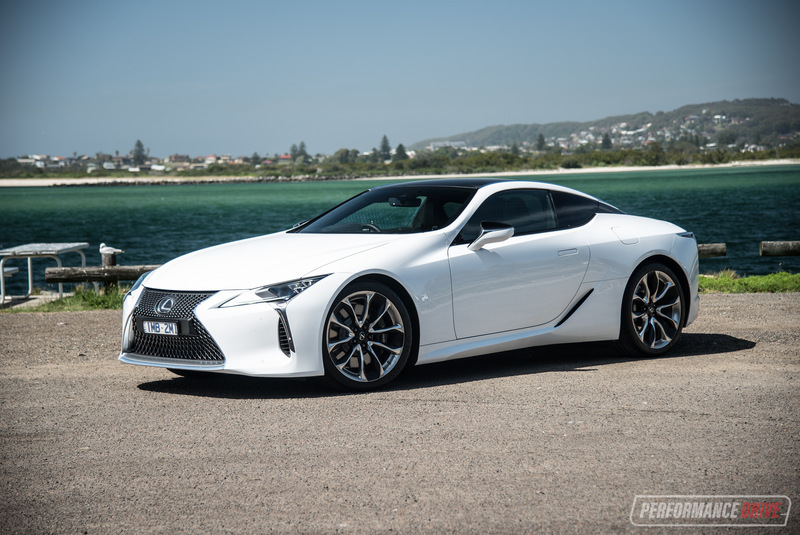 For its intended purpose, specifically, the Lexus LC 500 wins our heart. It’s designed to be a luxury grand touring coupe that’s also fast and thrilling to drive, look at, and sit in. And it does all of these things in a way that exceeds your expectations. 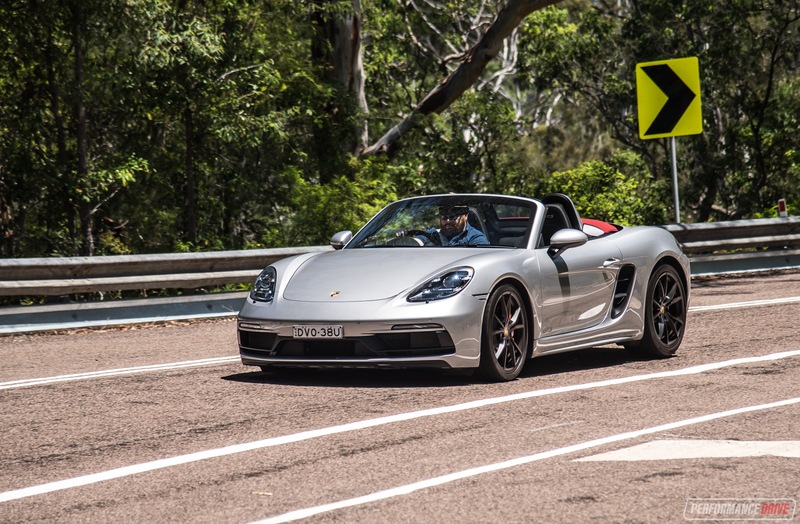 The Porsche is designed to be a blisteringly fast, point-to-point roadster, which it is. But it just misses the mark in terms of broad versatility. It is incredibly quick in a straight line and around corners, and yes you can have the roof down. The build quality is also exceptional but it’s not quite enough to get you wholly excited, in this comparison anyway. 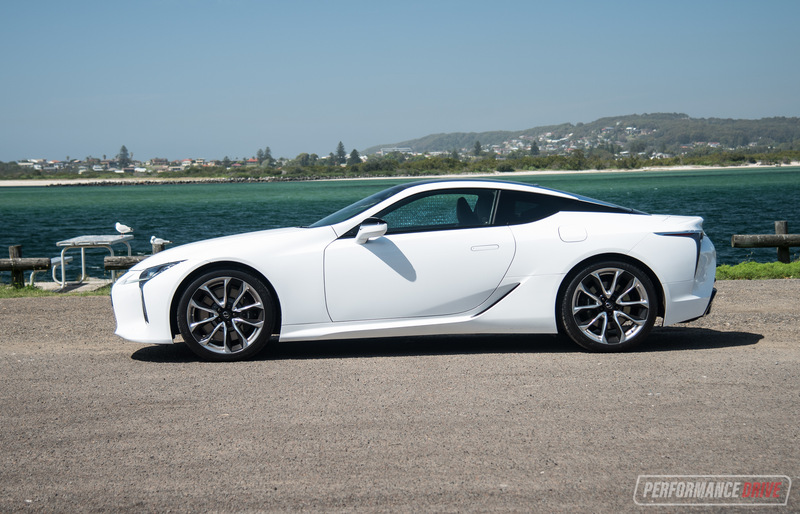 If we had a spare $200k to spend on a car like this, we’d buy an LC 500. 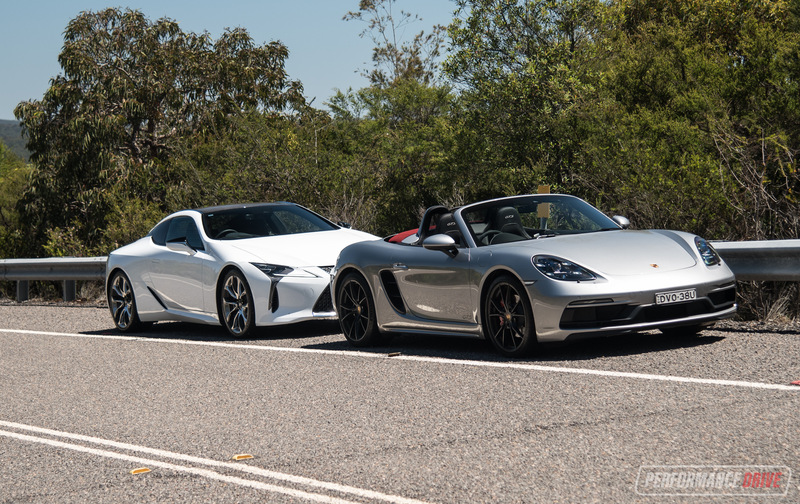 The Lexus feels like a $200k car, whereas the Porsche, as impressive as it is, seems more like an elite roadster sports car that should be priced around the $120-150k mark.